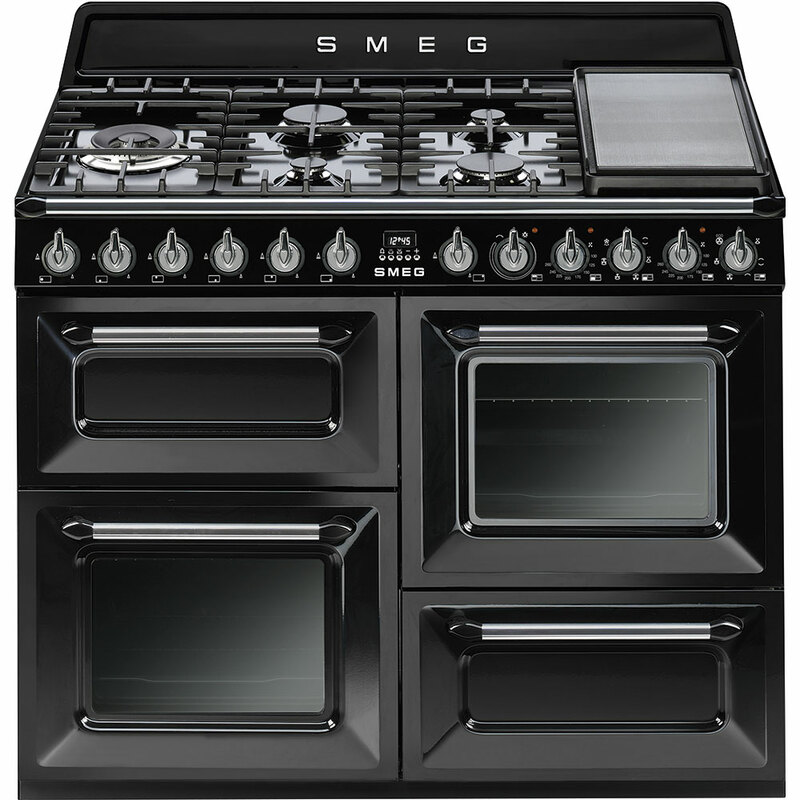 The TR4110BL is a 110cm Victoria Black Dual Fuel Freestanding Oven/Stove from Smeg that comes in black enamelled metal finish. 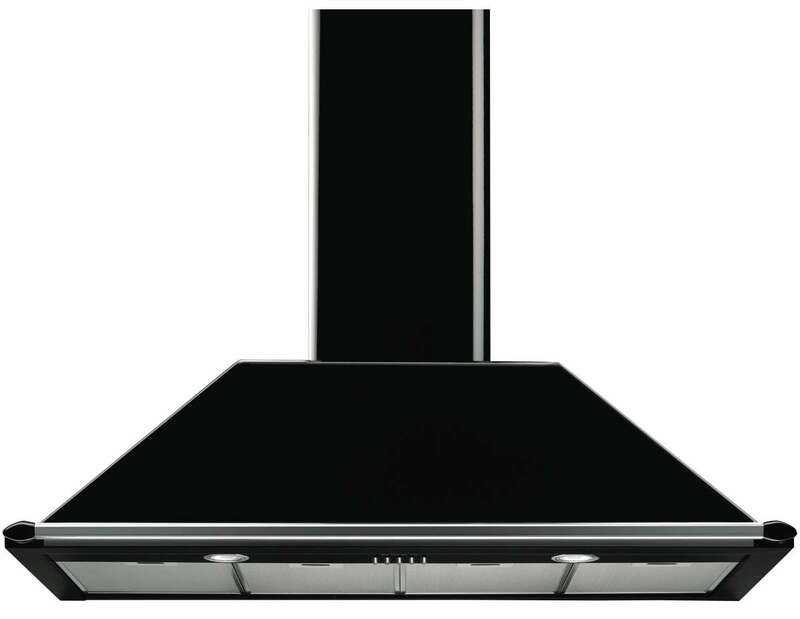 Smeg 110cm Canopy Rangehood KT110ABL. The Finest Wallmount Rangehood. Duct direct to atmosphere or recirculate to kitchen (upper chimney vented for optional recirculation). 4 x aluminium grease filters.